Aiming to be the best horse analyst in the country! Keen student of times (Comparative), and any form angle that can produce a profit. 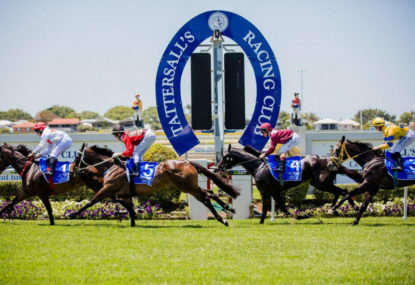 Race 8 at Eagle Farm on Saturday (3.17pm AEST) is the Tattersalls Club Tiara run at a distance o 1400m. 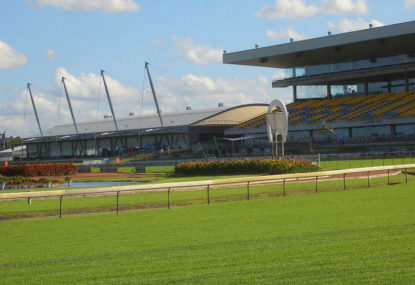 Queensland racing switches its gaze to the provincial circuit at Bundamba in Ipswich this Saturday, for the running of the Ipswich Cup, Eyeliner Stakes and Gai Waterhouse Classic. 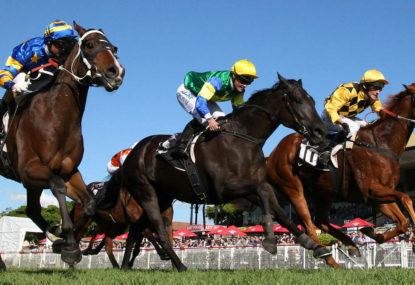 Race 9 at Eagle Farm on Saturday (3:40pm AEST) is the time honoured 1400m Group 1 Sprint known as the Stradbroke Handicap, first staged in 1890. The much-anticipated return of Eagle Farm racecourse is finally upon us, headlined by the Queensland Oaks for three-year-old fillies. Unfortunately, the weather gods haven’t smiled on south-east Queensland, after an extremely long period of dry and idyllic weather. Race 7 at Doomben on Saturday (4.00pm AEST) sees the running of the 2016 Doomben 10000 at a distance of 1350m. 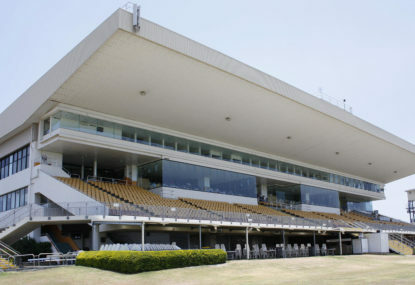 The Goodwood is Race 7 (4.20pm AEST) at Morphettville on Saturday run over a distance of 1200m. 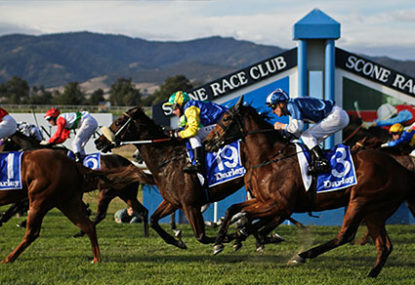 It is a famous old Sprint race of the Australian Turf conceived in 1881. 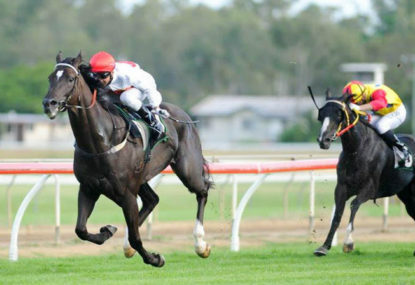 Race 7 at Doomben on Saturday (4.06pm AEST) is the BTC Cup run over a distance of 1200m. 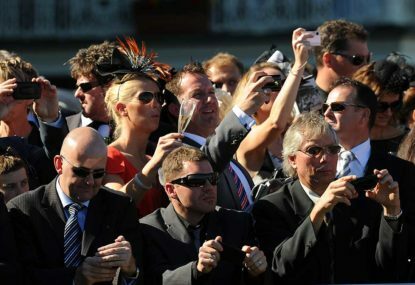 Scone is often described as the horse racing capital of Australia; horse breeding haven where many of Australia’s best studs are located. 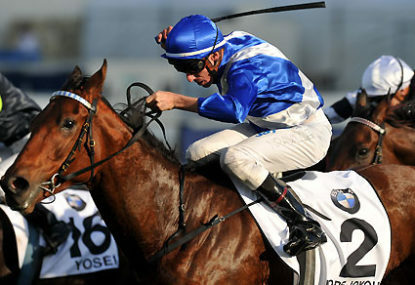 The Hollindale Stakes is Race 7 at the Gold Coast on Saturday, run at 3.40pm. It signals the start of the Winter Carnival in Queensland, even though it is still autumn. The title of Australasia’s best three-year-old is still up for grabs with all eight of the Group 1 three-year-old staying classics, here and across the Tasman (2400m-2500m) so far going to a different racehorse. 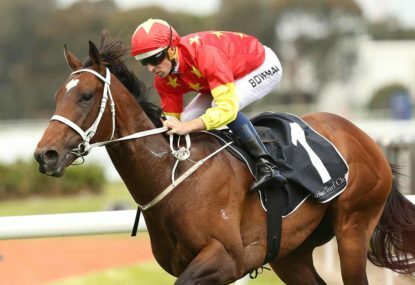 Race 7 at Sha Tin (Hong Kong) on Sunday (5.30pm AEST) is the Chairmans Sprint Prize, an International Group 1 1200m race which is now part of the Global Sprint challenge that comprises races in Australia, England, Japan and Hong Kong. Race 8 at Caulfield on Saturday (4.35pm AEST) is the Listed Bel Esprit (Sire of Black Caviar) Stakes over a distance of 1100m. Race 7 at Randwick on Saturday (3.45pm AEST) is the Weight For Age All Aged Stakes run over a distance of 1400m. Race 6 at Randwick on Saturday (2.35pm AEST) is the time honoured Australian Oaks for three year old fillies, formerly known as the AJC Oaks, and first staged in 1885. 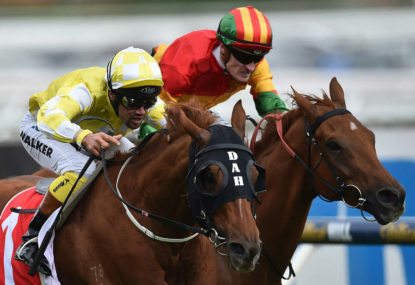 Race 9 at Randwick on Saturday (5.10pm AEDT) sees the running of the 2016 Doncaster Mile. What a grand old race this is! It dates back to 1925, where the inaugural race was won by a horse called Night Patrol, who then went on to win the following year. 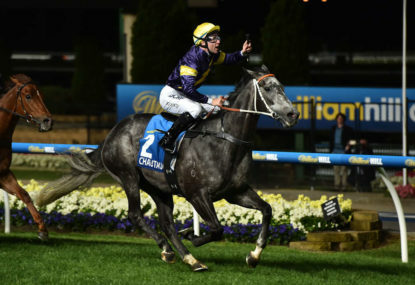 Let me first say I’m no expert on horse breeding, but the death of the Champion Irish sire High Chaparral in late 2014 was a sad loss for those owners who may have been looking for some quality middle-distance and staying horses to compete at the highest level in Australasia. The world’s richest two year old race is here again, to be staged as Rosehill Gardens at Rosehill on Saturday (Race 7 at 4.30pm AEDT). 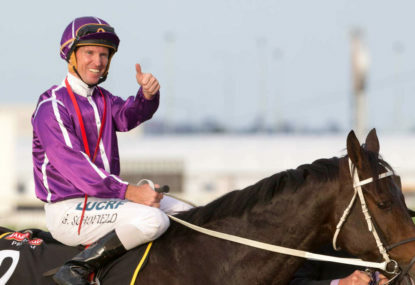 Race 7 at Rosehill on Saturday (4.10pm, AEDT) is the Coolmore Classic. It is a Group 1 fillies and mares race first staged in 1973, but has only been known as the Coolmore Classic since 1996. He ended up being overraced but was very a high class horse. Like a few others on here I can’t have Sunline over Northerly. The first time he beat her (pretty sure it was M/Valley) she was at her absolute peak and he just gunned her down. She would never have beaten him head to head on a left handed track. The only negative with Northerly really was his inability to win right handed, and the vast majority of his win were at WFA. If I recall right the only time he gave weight to horses and win a handicap was the Caulfield Cup. I guess it really depends on how you want to evaluate things. You make a good case in some ways because Sunline could win in any direction and on any track condition. And she won a few races giving a lot of weight away to her rivals. On that score she is probably the superior horse. Cam……note that Almandin has Blinkers going on. Don’t think so KV. Thing is he doesn’t like hard tracks apparently and he probably can’t win the race on that sort of surface even with less weight. Having said that he should have been given 59kg+ which I think is fairly obvious looking at his overall record including a third in the Arc. The two Japanese, Marmelo and Red Cardinal also look well treated as do Bonneval and Egg Tart. We’ll see it’s a bog Adam. I have no faith in early track conditions this time of year. Been burnt too many times. Your statement could be perceived another way. Fabrizio has the fresh legs and SOO has the job ahead on a bog track first up. Fab won a trial recently too and stable foreman says he has never been better after a week in the paddock. I expect him to be too classy unopposed in the lead. I’m giiing Sense Of Occasion a huge chance too Adam though I do think it’s Fabrizio’s race to lose. He would have won the Epsom no doubt with a responsible ride. Duca Valentinious is a winning chance to I feel though not sure how he will go on a very heavy track. To the right hand side on home page where it says search and enter name/horse records. You can contact me on Twitter @BrisburghPhil if you like. Always good to share info with like minded people. 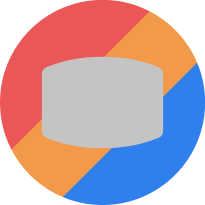 Do you use the horse form database though and the ‘profile’ tab in particular? I use Racing and Sports Form Database for analysis and some video replays. All the Japanese races I found on Youtube. Let me know if you can’t find that database. Huge win by Maurice. A pretty disappointing day on the punt for me though I was saved by the Qld Derby winner in the last race @ $13. Nice analysis Bigship. I’ll just pull you up on that last race though. Maurice is not 10 times better than A Shin Hikarii although he deserves to be favourite. The latter won this race last year and I doubt Maurice would win a race in Europe by 12L! Re Red Falx watch the Sprinters Stakes last start on Youtube. Big Arthur an absolute moral beat not withstanding that was a gutsy win by RF who is 4/4 at the trip. There is hardly any doubt in the word though that had Big Arthur got a run in the straight he would have won the race comfortably. This is a race where the Northern Hemisphere Europeans have had almost total dominance over the locals. Ironically it took Hong Kong roughie Dominant to end that stranglehold in 2013, coming in with some ‘putrid’ form to upset the more fancied continentals. He returns again this year after a reasonable fourth placed effort in 2014. No HK horse had won in the previous 15 years, and the only non English or French horse to win in that period was the Japanese horse Stay Gold in 2001. He was seven years old, and is the only horse since 1994 to win this race aged above six. This has been an excellent race for runners coming through the Breeders Cup Turf in North America, or the Japan Cup. Between them those 2 races have provided 8 winners. This has been an excellent race for the local Sprinters who have won 13 of the last 17 editions. That dominance has been curtailed in 3 of the past 6 years, but it took the superstar Japanese sprinter Lord Kanaloa to do so on on two of those occasions. There are some very interesting barrier stats relative to winners of this race. Eight of the past ten winners have drawn between barriers 5-9, and no horse has won drawn inside 5 since the race reverted to 1200m (before 1999). Peniaphobia came from barrier 14 to win last year leading all the way with a Tongue Tie gear change. 14 of the past 17 winners have been aged either 4 or 5, though local Sprinter Aerovelocity did win this race in 2014 aged 6. No runner aged 7 or over has won in that period, and no three year old has managed to either. Four horses have managed to win this race twice since 1999, quite a revealing statistic. Of the four big races this is the one that HK gallopers have made their own. They have won 12 of the past 17, and also 8 of the past 9 editions. 4, 5 and 6 year olds have dominated this race winning 20 of the past 24 which is a telling statistic. 14 of the past 25 winners have drawn outside barrier 9 so don’t be afraid to entertain those from wide draws. The form of the past 6 winners coming in has been Eleventh, Second. Eighth, Fourth, First and First, so it can be handy to look for a horse set to peak, as much to one that already has. 18 of the past 22 winners have been aged either 4,5 or 6, so best to identify that age group. Interestingly 5 of the last 6 favourites to win have drawn Barrier 6 or wider. Looking forward to these races once again. Looks pretty straight forward excepting the sprint perhaps. Why Not Listenin’ To Me is $13+ is beyond me. Interesting the Japanese horse Red Failx is 4/4 at 1200m and seemingly on the up. Takedown a definite hope I think. Take his form out above 1300m and he is a high class sprinter. Helene Paragon won to watch in the Mile. Absolutely no luck last start. Have to say I was a little disappoined in Able One last start. Okay he lacked fitness, but I was on him, and he had that race at his mercy from a perfect position. Good stuff Tristan. Hope you are enjoying yourself over there. A pity we didn’t see the best of Protecionist after the Cup here. He is probably a realistic chance in the Arc providing the class of horse isn’t high this year. He should be too good if he handles the wet. Interesting his dam is a half sister to Brayroan who won 7 races, 6 of them on wet tracks. 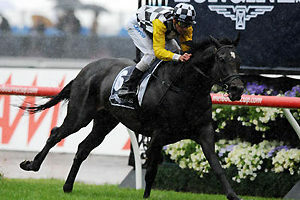 Rebel Dane not really a WFA horse though probably the one to beat. Generalife up to it but has a poor record at Randwick. Some respect must be given to the lesser class types who have recent fitness on their side (Big Money and Wouldn’t It Be Nice in particular). That’s often very handy on these very wet surfaces in the early Spring/ late Winter WFA races. 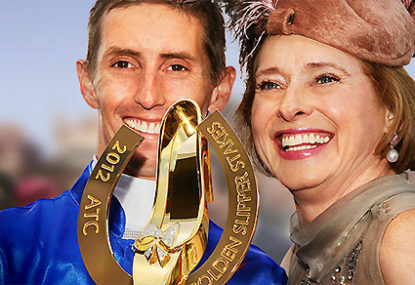 The Slipper hoodoo: How will Capitalist fare? Question is where do we find them? Superb work with Wild Rain Adam. Wish I’d known about the trials but had a bit on just prior to the race. She has been in my times Blackbook for quite some time and she rarely runs badly. Not the greatest of first up records so it was good info to be passed on. Cheers. Brilliant Razz! Made me look like a dill. Palazzo Pubblico at 1400m doesn’t look likely to me KTF but I’ve been wrong about her before thinking she couldn’t handle wet ground. Having said that I think she would prefer better than a Slow 6 tomorrow. Not too sure about the 2 others you have mentioned. Will have to check them out. I’d be surprised if either Echo Gal or MCG can win Razzar unless there is a horrific leader bias. Neither really suited at 1400m and the track might provide even more of a stamina test. Good drying weather today in Brisbane which is surprising and wasn’t forecast. Another fine day tomorrow and we should be racing on a Soft 5 surface or better. Makes me warm a little more to Artistry with that gear change. Maybe Michael but T/Prince meets him 1.5kg better for that protest win at S/Coast. On form of last year Daph ‘N’ Alf is the best weighted of them all but he seems a bit out of sorts. Nothing of that quality this week JB. A once in a lifetime opportunity that was. I doubt a 200-1 shot will ever run a place in a Group 1 again. I’ve never seen it happen in my liftetime anyway. Until last week! Yes mate it didn’t have the best of luck early. I tipped Rosie’s other winner on the day too BENZINI. She was getting pretty excited around the turn in the Stradbroke too. At that point she felt like she was on the winner if you read her comments. Quite an amazing day for me with the last 5 races at E/Farm winning results and it could have been six if Federal had finished a little faster. Superb buddy. Great effort by the horse. Somebody on Twitter last night told me it was no hope whatsoever of running a place. That’s an impressive list by the way. Love it KTF. I’m more in the $5 each way camp but that would net me nearly 1K as you say (I got on @ 151 & $41). Takeout is maximum a 2L better horse coming into the race I reckon, and is looked upon as a winning chance. Have the weights been raised though Razz? They haven’t for the three year olds, or at least some of them. Compare Malguerra/Good Project/Music Magnate/Kaepernick/Artlee. Not much between them at level weights so have to go with those that have 3-4kg less weight in this.